Many books rumored to be filled with mysterious powers have been scattered all over the Greek lands. Some have even been rumored to have the secrets of the Wishing Pool recorded within their pages. Now, reports are surfacing that the whereabouts of the Lost Books have been discovered, and many adventure-seekers have been rushing to the ancient relics of the land to find them. What secrets do these books hold, what wonders do they contain? The only way to know for certain is to find out for yourself! 1. 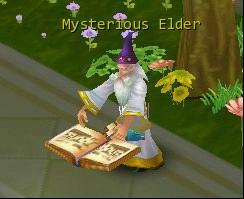 Talk to the Mysterious Elder (75,-130) located in your faction's main city. You can claim [Sheepskin Scroll 7] for free once each day. Tip: [Sheepskin Scroll 7] can only be obtained from the Mysterious Elder and Evil Boogymen. 2. Boogymen will respawn every 2 hours in the suburbs of each main city. Their HP will be reduced by 1 each time they are attacked, but they drop a random Sheepskin Scroll (Shapeskin Scroll 1 to 6) when they die. 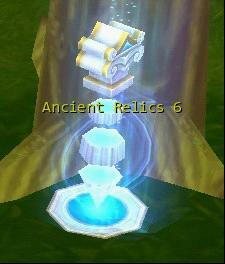 Using the clues that they have gathered, you can travel to the Ancient Relics and exchange the scrolls for Lost Book Chapters. Note: You are likely to obtain some experience or a Lost Book when exchanging a scroll for a Lost Book Chapter. 1. You can exchange Chapters 1-3, or Chapters 4-6 for an Incomplete Lost Book, or you can exchange Chapters 1-7 for a Lost Book by visiting the Mysterious Elder. 2. Once you have acquired an Incomplete Lost Book, you can exchange it for fabulous prizes at the Wishing Pool. Up to 5 Incomplete Lost Books can be exchanged this way each day. 3. Likewise, once you have acquired a Lost Book, you can exchange it for big prizes at the Wishing Pool. However, only 2 Lost Books can be exchanged this way each day. Notes: Lost Book Chapters, Incomplete Lost Books, and Lost Books cannot be traded. Experience, Talent Points, Crystals, Gems, Grain and much more! What are you waiting for, begin an epic journey in GodsWar Online now!! !